Also this spring/summer we are partnering with a couple of other labels on several different projects, including limited vinyl re-issues of Reptilian/Deep Elm/Equal Vision bands Blank, Cross My Heart, and Liars Academy, as well as new music from Ryan Shelkett and the Outfit and others - stay tuned! PREPARE FOR SONIC ASSAULT ONCE AGAIN!! Greetings Team Reptilian and interested onlookers! Here's a quick update to let you know what we have planned for the rest of 2014 - get ready! Re-press of Supersuckers new sold out LP "Get the Hell"
Hello there and welcome to the all-new REPTILIAN RECORDS WEBSITE! We are back in ACTION after a release hiatus and a move from Baltimore to Philadelphia - back with exciting plans, grand schemes, and a twisted outlook! This site is freshly hatched and still growing- every day there will be more features, downloads, streaming jams, candid pics, and irreverent proclamations! Please feel free to let us know what you think of the site, feedback will lead to improvement. 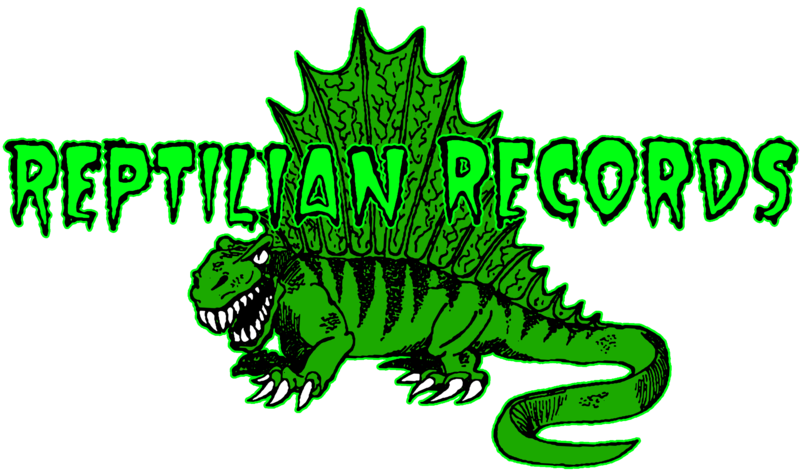 New releases in the works NOW as well as spectacular vinyl reissues of seminal Reptilian releases - stay tuned!